“Oh, that mine adversary had written a book,” said Job. 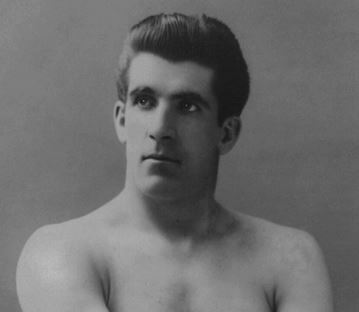 James J. Corbett’s enemies should, therefore, rejoice, for he has done that very thing. 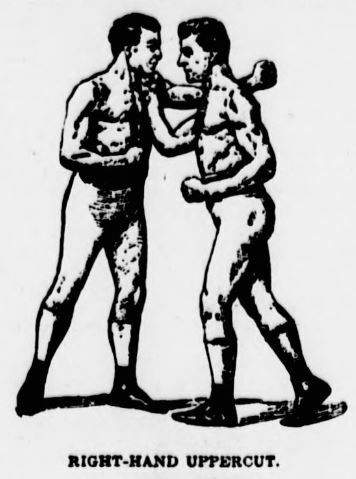 Unlike many who write books and launch them at the public under various disguises of title and binding, the champion pugilist has written about something of which he may be presumed to know a great deal. 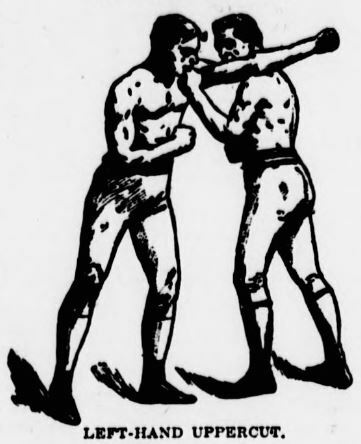 His maiden effort is not entitled “A Scarlet Sunflower,” “Impish Triplets,” or anything so indefinite and irrelevant, but the cover of the volume tells plainly that it contains “New Ideas on Boxing.” The author, at the outset, expresses little wonder at the existing prejudice against pugilism on the part of those who consider the contests as simply brute strength against brute strength. He adds: “But when it is not only muscle against muscle, hut head against head, skill against slugging, the cry against pugilism is sentimentally silly. Boxing is the art of self-defense, not of brutality. “A little skill is better than a great amount of strength,” he says, “for power misdirected leads to disaster.” As instances, the overthrow of Goliath is cited, the skill of the Romans in fighting with short swords against bigger men, and the clever evasion of an infuriated bull by the toreador. the aggressive fighter and pound him hard before he recovers. “The day of the slugger is gone,” he says. The methods and improved tactics of which he is the exponent he summarises in a sentence: “It is the art of keeping within range, and of being able to get out of reach.” In his estimation, the feet and body have fully as much to do with winning a battle as the fists and arms, with a clear head and clear brain to direct every movement. In his treatise he abandons the “proper position” and awkward, strained poses so long taught at academies, advising simply a free, easy attitude, with muscles never stiffened but always ready for action. The importance of shifting the position frequently and rapidly is pointed out as an excellent method by which to deceive the adversary. Side-stepping he regards as more discouraging to the aggressive adversary than constant countering, but requires great agility to be effective. Let the aggressor whip himself by wasting energy and running up against well-placed jabs is his counsel, and drive in a hard blow when opportunity offers, instead of taking chances from possible hard encounters and upper-cuts. When the rusher seeks to drive the skilled boxer before him by sheer impetus is the time to inflict the worst damage. 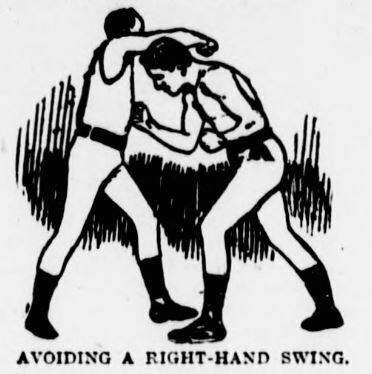 As he puts it: “It is a Kodak movement: you extend your left and he does the rest.” Considerable weight may be thrown into these jabs by using the foot as a pivot, on which the body swings with the jolt. 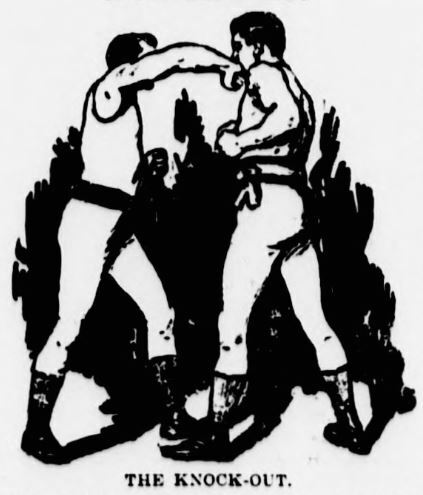 Throughout, strategic moves to deceive and draw the opponent on are pointed out, and the most damaging blows are considered from the standpoint of both deliverer and intended recipient. The pivot blow is denounced as cowardly. 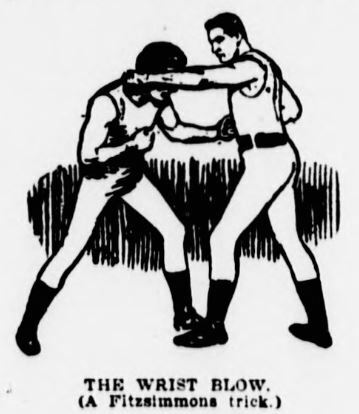 His greatest battles are briefly described in the work, and it may be news to some who did not see the fight to know that John V. Sullivan was whipped principally by letting him exhaust himself hitting nothing, with the application of well-timed and judiciously placed blows when opportunity offered. 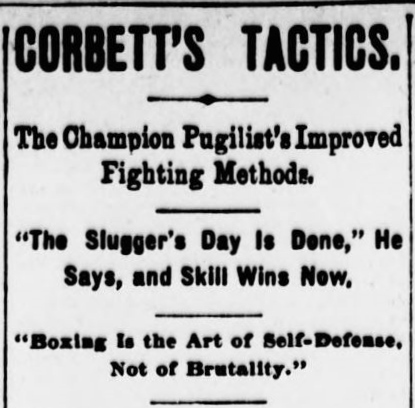 Corbett credits Mitchell with being cleverer than Jackson, although he regards the latter as a tricky and shifty pugilist.